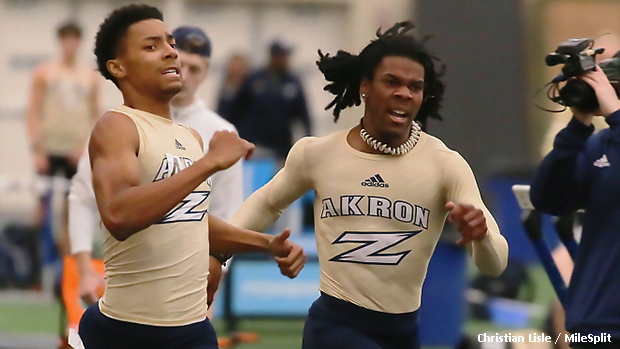 University of Akron teammates, and 2018 Ohio high school graduates, Amir Willis and Zac Robinson went head-to-head at last week's Akron vs. Kent State Dual meet in the 400m contest. The duo came away with the top two spots in the standings, with each athlete breaking 49 seconds. Willis achieved the win in 48.69 and Robinson trailed closely behind in 48.88 to claim runner-up honors. These results represent new indoor pr's for both Zips representatives. View results from Jan. 21st to 27th by Ohio's high school alumni who are now competing in college.